SKILLED NURSING AND ASSISTED LIVING FACILITY PRICES SOAR IN 2004 TO RECORD LEVELS ACCORDING TO NEW REPORT FROM IRVING LEVIN ASSOCIATES, INC.
NEW CANAAN, CT – March 9, 2005 – After a five-year period when many of the national skilled nursing and assisted living facility companies suffered through bankruptcies, over-building and the divestiture of many underperforming properties, the senior care acquisition market finally broke out of the doldrums with surging demand pushing prices to new levels, according to a report to be published by Irving Levin Associates, Inc., a research and publishing firm that tracks mergers and acquisitions in the seniors housing and health care markets. The average sales price paid for skilled nursing facilities in 2004 reached a 10-year high of $44,600 per bed, according to Levin’s report, The Senior Care Acquisition Report, Tenth Edition. This represented an increase of more than 40% compared with 2003, when the average price per bed hit a 10-year low. The median price per bed increased by 34% to $36,000 per bed in 2004. “The sharp jump in the average price per bed was the result of an increase in higher quality, more profitable nursing facilities coming on to the market in the past year. With higher Medicare rates in place, the value of most nursing facilities increased,” stated Stephen M. Monroe, editor of the Report. “Excluding the plunge in prices in 2003, the average and median increased in 2004 by 16% and 1%, respectively, over the levels in 2002,” continued Mr. Monroe. In the independent living market, the average price paid decreased to $71,500 per unit in a market mostly defined by the absence of quality communities for sale. “The independent living acquisition market is actually quite strong from the demand side, but many of the sellers of high-end properties remained on the sidelines last year,” stated Mr. Monroe. The Senior Care Acquisition Report, Tenth Edition, contains statistics on the nursing home, assisted living and retirement housing merger and acquisition market, including prices per bed or unit, capitalization rates and income multiples, in more than 100 pages. The statistics are based on more than $1.3 billion of seniors housing asset sales in 2004. It also includes transaction information on each of the publicly announced senior care, home health care and hospice acquisitions in 2004. The Senior Care Acquisition Report costs $549. For more information, or to order the report, call 800-248-1668. 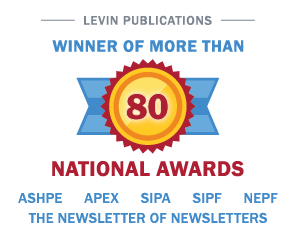 Irving Levin Associates, Inc. was established in 1948 and has headquarters in New Canaan, Connecticut. The company publishes research reports and newsletters, and maintains databases on the health care and senior housing markets.